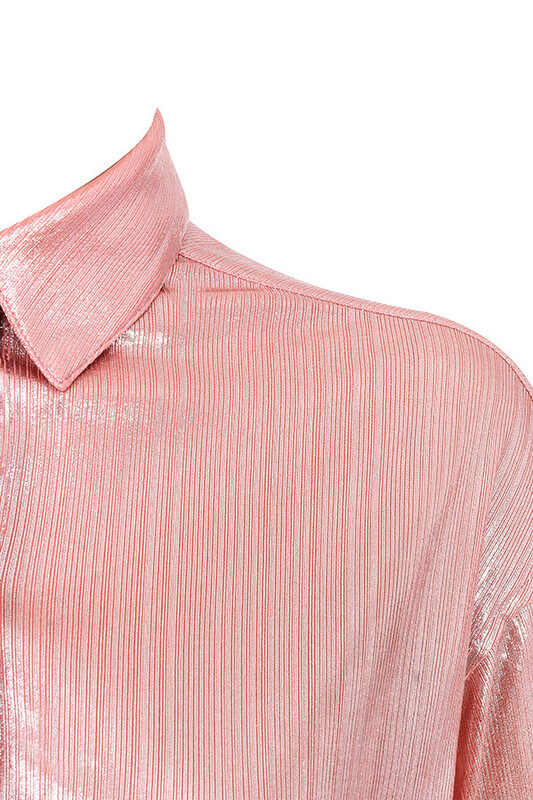 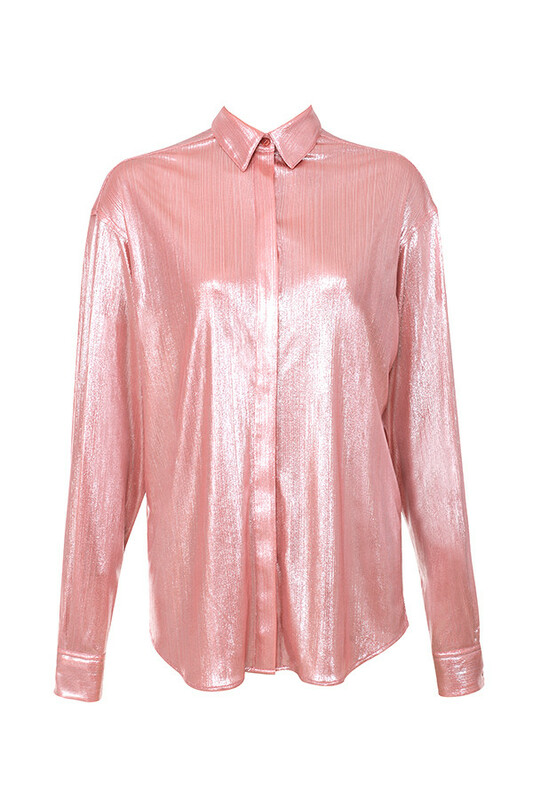 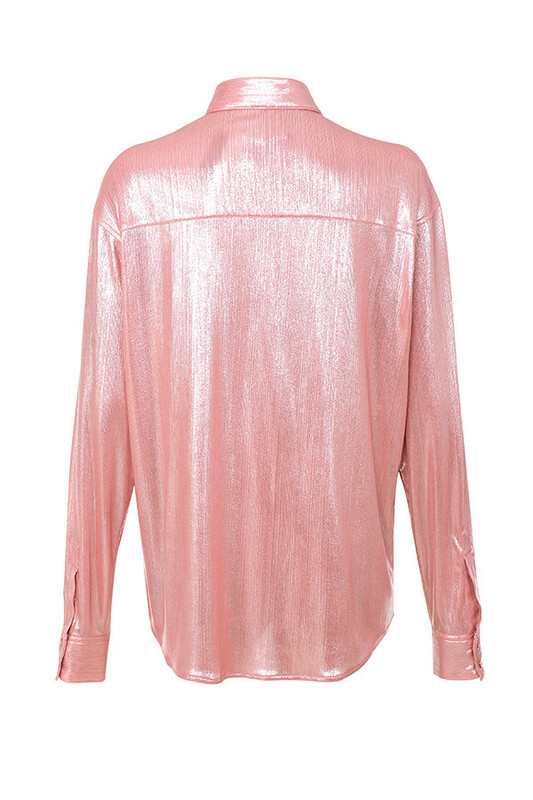 Crafted from an ultra luxe metallic plisse fabric, 'Roxanne' follows classic shirt styling. 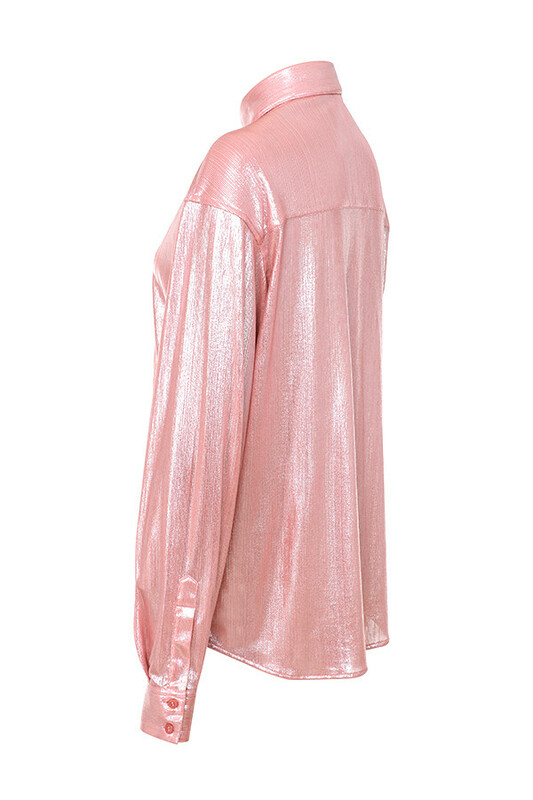 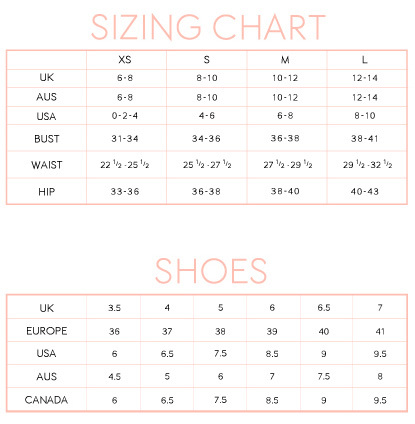 It has long sleeves, a loose draped fit and a flap front. 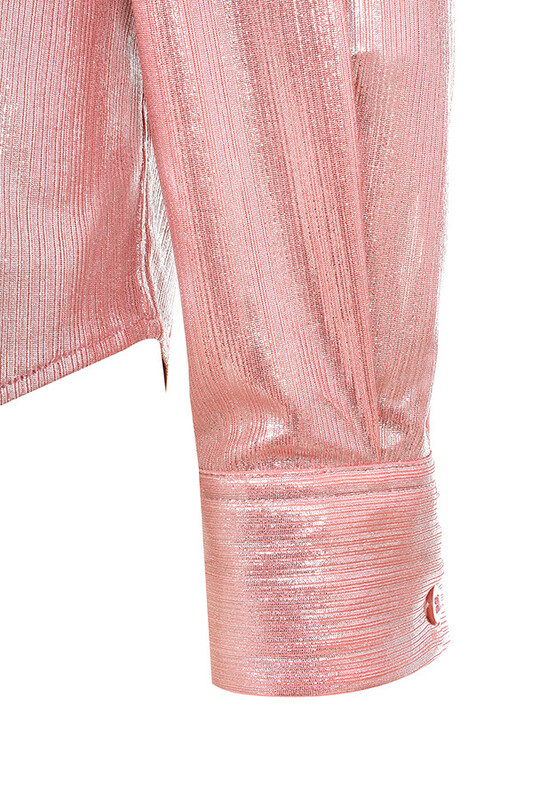 We love this kept open to the waist and tucked into the coordinating 'Shahja' skirt, just as out designers intended.